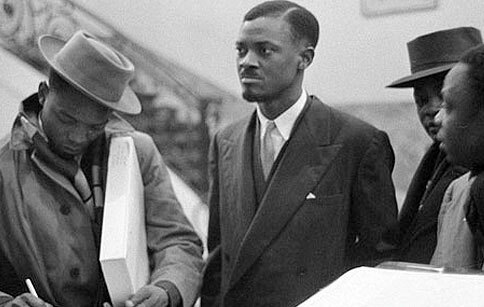 Congolese leader Patrice Lumumba in Brussels, January 1960. He was assassinated a year later. A recent letter to the London Review of Books has reopened discussions about who was behind the assassination of revolutionary Congolese leader Patrice Lumumba. A charismatic and popular organizer during the 1958-1960 period, Lumumba had captivated the hearts and minds of the majority of his people and the African continent during the struggle against Belgian colonialism. Lea responded: “I can report that we do [know]. It so happens that I was having a cup of tea with Daphne Park. She had been consul and first secretary in Leopoldville, now Kinshasha, from 1959 to 1961, which in practice meant head of MI6 there. “I mentioned the uproar surrounding Lumumba’s abduction and murder, and recalled the theory that MI6 might have had something to do with it. Lea reports that Park believed, as many in the West did at the time, that if a pro-imperialist regime did not take control of Congo, the country’s mineral resources would be available to the Soviet Union. Lumumba was labeled as a communist during this time, and the Western media used such propaganda to justify the coup against him and his ultimate brutal assassination. Lea said he had nothing else to substantiate Park’s allegations. After retiring from the diplomatic and intelligence divisions of the British government, Park was appointed a “life peer” as Baroness Park of Monmouth. Her colleagues in the House of Lords noted that she was a spokesperson for the Secret Intelligence Service. MI6 refused to comment on the allegation made by Lea. Lumumba’s assassination had sparked protests throughout Africa and the world in 1961. Not only British imperialism sought Lumumba’s overthrow. U.S. foreign policy at the time, as well as the subsequent release of formerly classified documents, indicate that the White House under President Dwight D. Eisenhower engineered the plot against the Congolese patriot. The U.S. role was documented by the 1975 Senate Select Committee on Intelligence hearings, chaired by Idaho Senator Frank Church. A former National Security staffer, Robert Johnson, reported on a senior level meeting involving Eisenhower and high-ranking intelligence officers where the decision was reached to assassinate Lumumba. Lawrence Devlin, who served as a CIA field officer in Congo during 1960, further confirmed the Eisenhower administration’s role. In his book “Chief of Station, Congo,” Devlin admitted he had received instructions to carry out an assassination from CIA Deputy Chief of Plans Richard Bissel. Devlin wrote that one method of assassination contemplated was lacing Lumumba’s toothpaste with a deadly chemical agent. Devlin claims this was never carried out by him. Devlin did admit to supporting two military coups led by Mobutu Sese Seko, the U.S.-backed dictator in Congo, in 1960 and 1965. He said it was justified because Mobutu was an anticommunist dictator who would be a bulwark against leftist influence. Following the assassination of Lumumba and his colleagues in 1961 and the coup in 1965, Congo became a strategic base for the CIA in its war to halt the total liberation of Southern Africa. The CIA efforts failed. To this day the Democratic Republic of Congo is a source of instability for the African continent. Large sections of the mineral-rich eastern region of the country remain outside the control of the central government in Kinshasha. Transnational mining corporations are continuing their theft of Congolese mineral resources and consequently fueling instability. The Congolese people still face the task of gaining complete control over their territory and state.